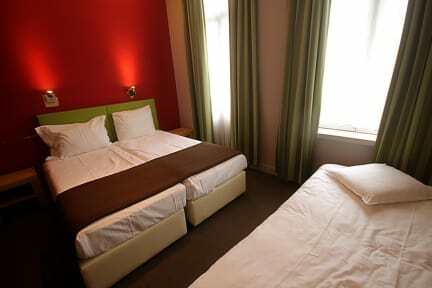 Hotel Derby is a great choice for travelers interested in museums, culture and architecture. We have a solarium, spa, fitness centre and we also offer the possibility to have breakfast and dinner by the sea. There is also a piano bar where guests can finish an exciting day and began and evening full of surprises. Hotel Derby is situated in front of the Cinquantenaire Park in Brussels, a 5-minute walk from the Royal Museums of Art and History. 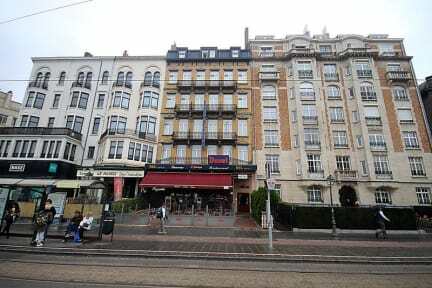 We are close to the Schuman district and to the European institutions. The city center, reachable in 10 minutes, is accessible by the Merode Metro Stop in front of the hotel. You will find nearby many shops of all kinds: supermarkets, banks, sandwich shops or brasseries, bars and gallery shops of all types. Rooms feature: telephone, flat-screen TV, private bathroom heating, wardrobe/closet, shower, hairdryer, toilet, bathroom, wake-up service, towels, linen. Breakfast not included - 8 EUR per person per day. Really nice budget hotel! Out of town but in a really nice area and if you’re happy to pay 2€ for the metro then you’re fine cause it’s an 5 minute metro into town. Heaps of restaurants around there. The hotel itself isn’t really much, it’s just a room to sleep really but it’s safe and clean and we loved our stay there away from the big noisy city! Don’t forget the city tax isn’t included in original price!!!!!! 4€ a person a night!!!! Belgium is expensive!! !